BAM Path to EVO confirms finals format will bring four top players from around ANZ to BAM11. The ultimate winner goes on to EVO World Championships. Today, we’re announcing the finals format for the live streamed esports circuit, BAM Path To EVO, and how players can represent their region in a fight to become the best in Australia and New Zealand. Competitors in Street Fighter V, Tekken 7, and Super Smash Bros Ultimate can journey from local heroes to recognition at BAM as the best player in ANZ. 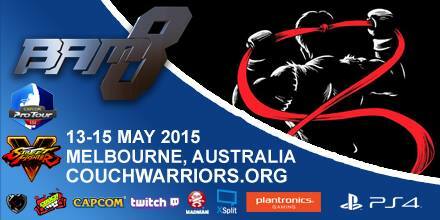 Then, each champion will represent the ANZ region at EVO, the world’s biggest fighting game tournament. Earning points at each event in BAM Path To EVO will count towards gaining top spot in each region by end of April. We’ll be bring players across the fighting game community together, from Victoria, NSW, Queensland, and New Zealand. Just join the events and you’ll be ranked. VIC and QLD events are run by CouchWarriors, NSW events will be run by Ozhadou and NZ by Standing Fierce. Bonus online tournaments also add to your points. Each region’s #1 seed will receive flights and an invitation to play off at BAM11, on May 17-19, 2019, at the Melbourne Convention Centre. At BAM11, there will be a Qualifying bracket to seed the four regions and a fifth player from a Last Chance Online Qualifier. These 5 will play for position on BAM Friday. Then, the top 3 seeds from this qualifier will go into a 4 player Championship bracket on BAM Sunday. Retaining the prestige of a top placing in the main BAM tournament itself, the highest ranked player from the BAM11 tournament will take top seed, completing the Championship bracket. This special finals will play out to find the best player in ANZ. That player will once again travel to Las Vegas, USA, to participate in the EVO World Championships! Recently we announced Tekken World Tour coming to Australia and covered the top players from the international scene heading to Melbourne. Now, lets look at the top Australian players thanks to our Tekken TO, Abi Adegbola. The main threats to the international from Australian soil come in the form of newly sponsored Kanga|ChandNY and Dee-On Grey. Both have won multiple Australian majors between them. 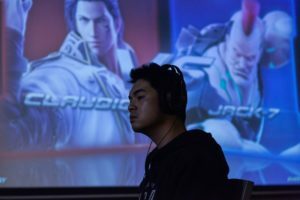 Dee-On Grey has amassed a great amount of international experience travelling to various tournaments around the world and even placing top 16 at EVO 2016. Among the many international events Dee-On has attended, most recently competed in the Tekken World Tour Korea Masters. Keep careful note of that third place for ChandNY at BAM9. Who were 1st and 2nd? Only world champion Korean players SAINT and JDCR! Aside from them there are plenty of other high level Australian talent, some who have gain international experience as well that are vying for the top spot such as Aken, 4LCH3M15T, Cuteguy, and many more. Battle Arena Melbourne 8 stomps into the history books as the biggest fighting game event ever in Australia, breaking the record set last year with 815 attendees and hitting a peak of 14,000 concurrent viewers during the Street Fighter V finals, this was the most viewed livestream Aus FGC event ever. Thanks to all the CouchWarriors staff, event partners, and especially players from across multiple fighting game communities that once again made this a special event. CouchWarriors is pleased to announced that Bandai Namco Entertainment will be supporting the Tekken 7 tournament at BAM8 with a prize pot bonus of $1000. Register now!